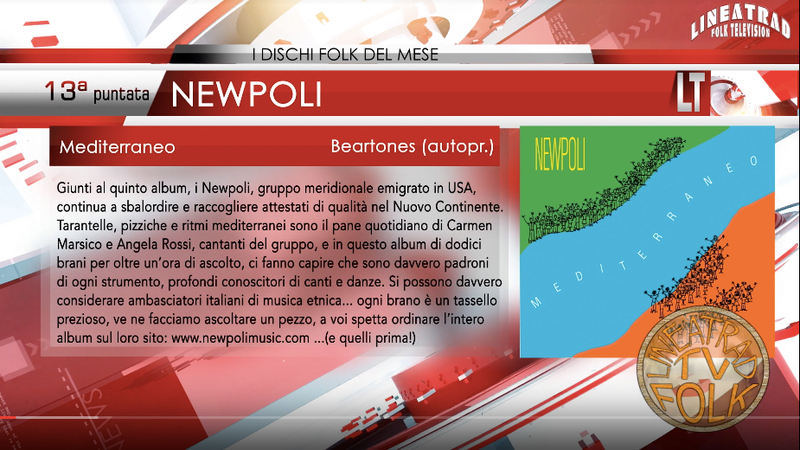 Called “…a brilliant outfit,…who grab southern Italian traditional music by the neck and recast it in a dramatic style” by Songlines (UK), Newpoli is a unique group with a powerful sound and a 21st century take on their tradition that is beyond comparison. 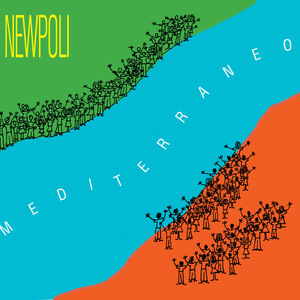 With exciting interpretations of traditional and originals that draw deeply from one of the world’s lesser known music traditions, Newpoli is Italy’s next inspiring interpreter of southern Italy’s taranta tradition. In concert you’ll hear the tamburello, played by virtuoso Fabio Pirozzolo, pounding out the heartbeat of Newpoli’s music, the two female singers will start up a wild, frenetic dance and you'll have a very hard time sitting still! The tempo is high, and the drama and passion can be heard in every note! Newpoli’s Carmen Marsico, Angela Rossi and Fabio Pirozzolo grew up hearing the ornaments and songs in their corner of southern Italy, Campania and Basilicata: The ballads and women’s songs vibrating with intricate ornaments, the voices raised at church or in kitchens to the thrum of the tamburello. 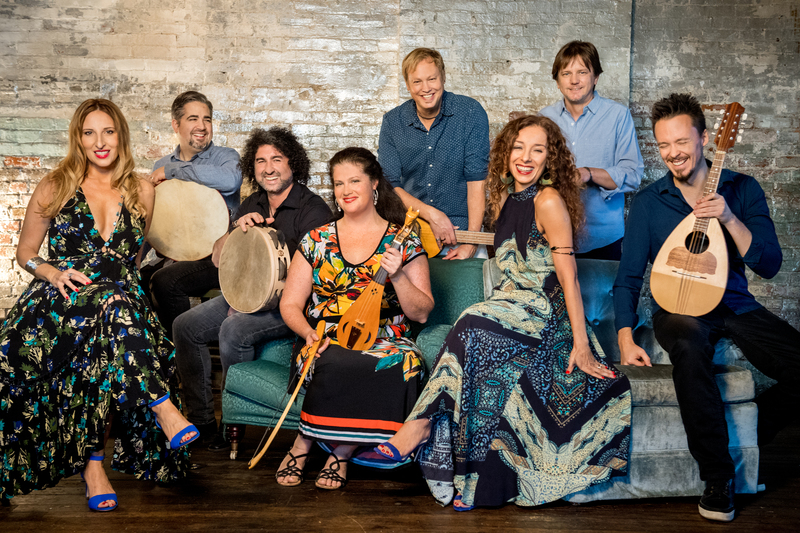 Yet over time, they and their musical kindred spirits in the Boston-based band began to hear other things, the microtonal and rhythmic moments that hinted at a wider musical world. 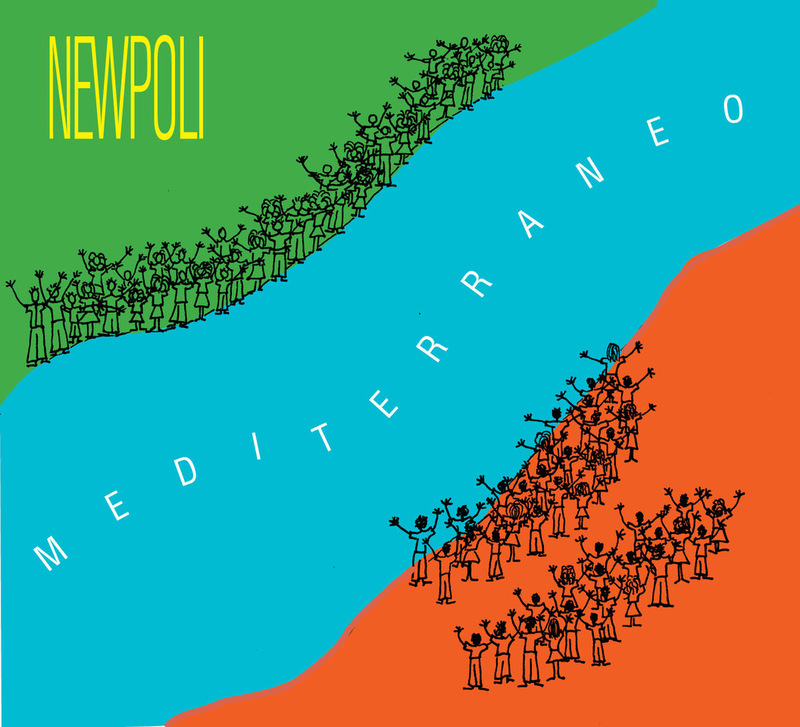 From bare field recordings to passionately arranged traditional and original pieces, Newpoli traces and expands these sounds on Mediterraneo (release: October 4, 2018). Chants, pizzicas and tarantellas (the latter performed to counteract the stultifying effects of spider bites) cross paths with new songs and tunes and instruments, insisting we bond more closely with both neighbors and the newcomers in our midst. The wider geographic resonances of very regional traditions mirrors the fates of the people who moved around the Mediterranean, from North Africa and Greece to Italy and the Levant. These movements live on in today’s struggles and crises, as people seek new homes in the face of conflict and chaos, coming to southern Italy for refuge or fleeing the region in hopes of economic stability. Sometimes, the group is inspired by a sparse traditional song that reveals unexpected hints of far-flung Mediterranean sounds, like “Iere Sera.” Marsico was listening carefully to this chant from Puglia, one that featured the vocal techniques common in her home region. 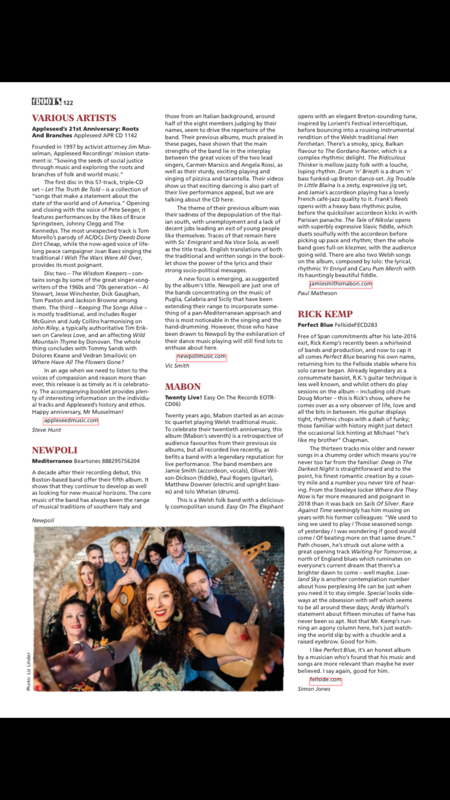 Their microtonal qualities inspired Marsico and Wennås to layer the traditional piece with a North African rhythm, transforming the song into something fresh. 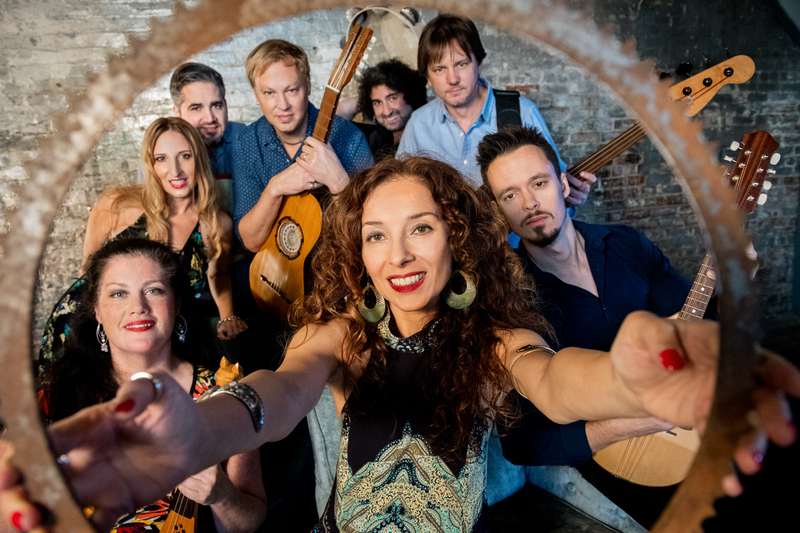 Others are enriched with traditional Italian elements, overlaid onto rare field recordings (the swinging “Me Ne Vogghje Scenni ‘n Fintanella”) or woven into new, more pop-inspired songs. Back in Italy for a trip, Rossi picked up a guitar one calm day and began fiddling around with chord progressions. 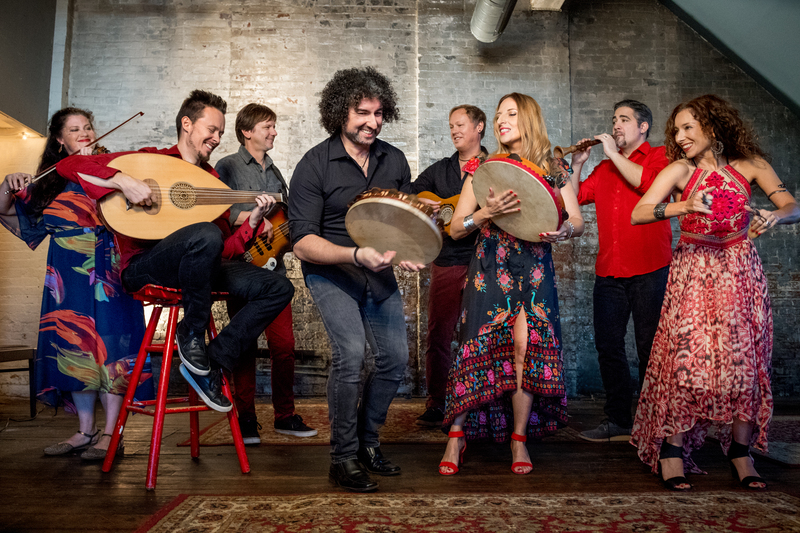 This relaxed jamming turned into a bold statement, “‘Na Voce Sola,” encouraging listeners to become the change they long to see in their community and the world, thanks to moving lyrics and an infusion of Campania’s rollicking tammurriata rhythm. That folk sounds could serve new pieces so well comes as no surprise. These songs brought a moment of lightness or a stretch of solace into the hard lives of rural people. They have powerful ways of addressing and illuminating today’s struggles over migration and the meaning of community. “With this album, we looked at the Mediterranean as a force to unite people, instead of separating people,” reflects Rossi. “We are all struggling with individualism, fighting to save our own privileges, our own self, but how can we also work with others? We need to look at this as humans. It’s a difficult problem, but we can’t turn away.